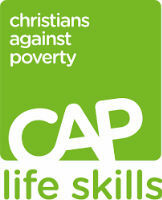 St Peter's Parish, in partnership with Belper Community Church, Belper Baptist Church and Hope for Belper, is very pleased to be the first in Derbyshire to be offering CAP Life Skills courses. CAP, Christians Against Poverty, is a national charity which offers help and support to people who are struggling with debt, poverty, homelessness and addiction by working in partnership with local churches. 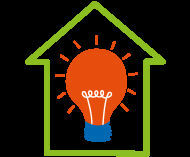 For more information about CAP, visit their website. CAP Life Skills is a friendly group that gives people the confidence and decision making skills they need to survive life on a low income. We teach people practical money saving techniques, such as cooking on a budget, living healthily on less, and making your money go further. Latest CAP Life Skills Course – Eight weekly sessions covering budgeting, cooking healthy low cost meals, making money go further. Each session includes a free breakfast. Starts Tuesday 5th February at Belper Baptist Church. 9.45 am for 11.45 am start. Free – but you need to book in advance. Open to everyone regardless of beliefs.